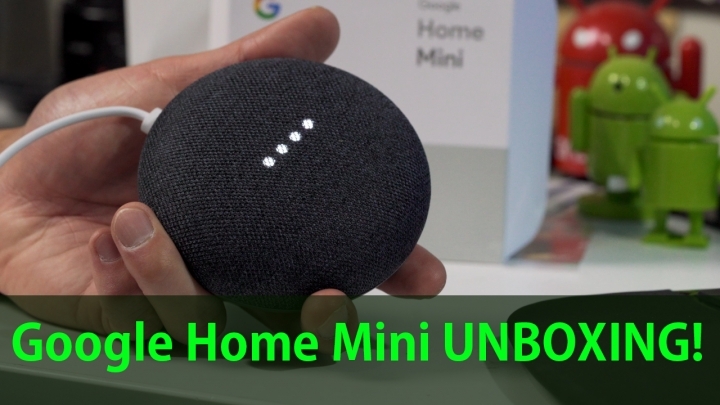 Google Home Mini UNBOXING! – Best Deal for Cyber Monday? On Black Friday a 2 days ago, I was visiting BestBuy(You can see my VLOG here) where BestBuy’s storefront featured a giant ad for their new Google Home Mini. Google is really trying to get Google Home Mini to the masses and at current sale prices of $29 plus $10 gift card, this is probably the best deal for Cyber Monday. But, is Google Home Mini worth it? As a user of the original Google Home for a year, Google Home Mini definitely amazed by its tiny size and powerful speakers. Of course, the Google Home Mini has all the features of the original Google Home minus fancy controls but it is so much smaller and cheaper. When Google Home was launched last year, not too many things were compatible with it but after 12 months, you can practically get as many home automation devices for it as you can with Amazon Echo, its biggest competition. How does it fair again Amazon Echo? Amazon Echo “had” been in front by offering more compatible home automation devices but nowadays, they both offer the same home automation compatibility. Apart from that, Google Home is much “smarter” if you want an answer to questions as it uses Google’s own search engine to bring you best results. I still love my Amazon Echo but I think Google Home Mini is the way to go for those of you still undecided. Overall, Google Home Mini is definitely a great way to jump start your home automation. Even if you don’t use it for home automation, you will be able to enjoy all of its other features such as YouTube Red(that allows you to play any songs on YouTube) and the power of Google search engine. If you are thinking about getting one, definitely pick one up before Cyber Monday sales are over as you will pay twice more next week. You can grab it on Google Store, BestBuy, WalMart, and many other places. I did make a video on easy home automation with the Google Home, so check it out below. Next story LG V30 – Stuff You MUST DO After Buying! Previous story OnePlus 5T – Stuff You MUST DO After Buying!